1. Explain your business in thirty seconds or less. Bhendi Bazaar is a tribute to the ‘Eat Streets’ and foodie culture of Bombay. 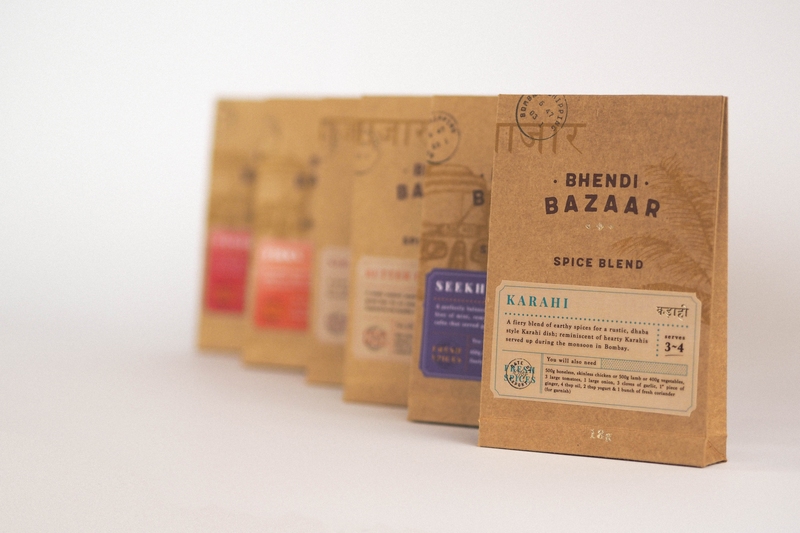 We make small batch spice blends for cooking top-notch Indian food. Whole spices are hand selected, hand ground and hand packed here in the heart of Yorkshire. Our aim is to promote the artisanal way of cooking with fresh ingredients from scratch, with care, hands, heart. We are in York, North Yorkshire. Yorkshire is often referred to as the ‘foodie capital’ and it is fantastic to have access to local, fresh produce from farmer’s markets and independent local food shops. We retail in some of these amazing food shops as well as online. 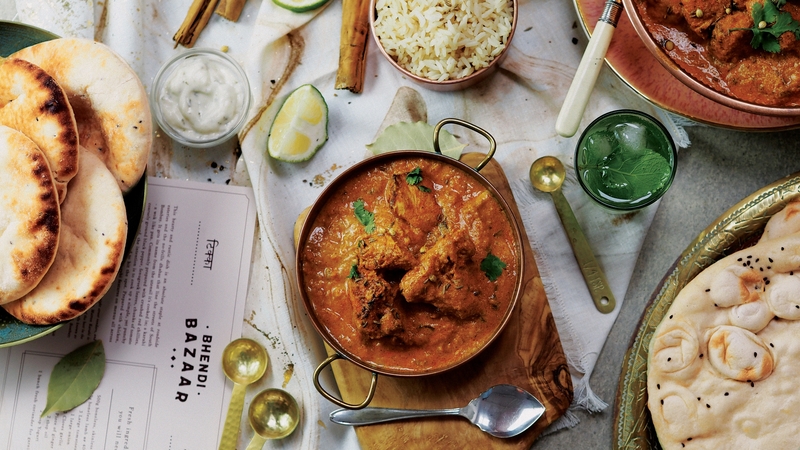 Bhendi Bazaar was born of two of my biggest passions; good food, and all things Bombay. Work colleagues would often talk about food and conversation would almost always turn to curry. I’m a huge foodie and advocate of fresh ingredients and authenticity, so I encouraged them to cook Indian food from scratch, instead of emptying a generic jar of sauce. I freshly ground spice blends and wrote them some recipes to create some of my favourite dishes. This, to use Bollywood jargon, was a ‘super-hit,’ and the idea of Bhendi Bazaar was born. At the time of the loan application, the business was just a concept. I knew there was a demand for my freshly ground, small batch spice blends, and I was supplying these to friends and colleagues, but there was no name, no brand at this stage. The loan was used to create the brand, packaging and website. I came up with the name of Bhendi Bazaar - a mispronunciation of “Behind the Bazaar” used in British India. But I wanted strong branding that would reflect what Bhendi Bazaar was about and its story. Branding is so important to a business, and goes way beyond just a logo. It is the first thing that customers see and feel, so it must send out the right message. My brand positioning is towards the premium end of the market and I required a whole look and feel to reflect that. From the logo, through to packaging and website, this has been executed fantastically. The loan also went towards website and product photography, packaging, equipment and ingredients. 6. Biggest achievement so far? I’m glad to have had the opportunity to work with some great people including the fantastic design team behind the visuals as well as a Bombay based photographer who shoots for Vogue India. It’s still very early days, but I’m proud to have had listings in some well respected local, independent food shops. Overall, I think the biggest achievement has been providing a positive experience for fellow foodies. Receiving feedback to say it’s been some of the best Indian food they've had is really satisfying. 7. What’s next for your business? I’m hoping to knock on more doors and have Bhendi Bazaar listed in more high-end food shops. Going forward, the intention is to ultimately see our packs of awesomeness on the shelves of premium department stores, the likes of Selfridges and Harvey Nichols.